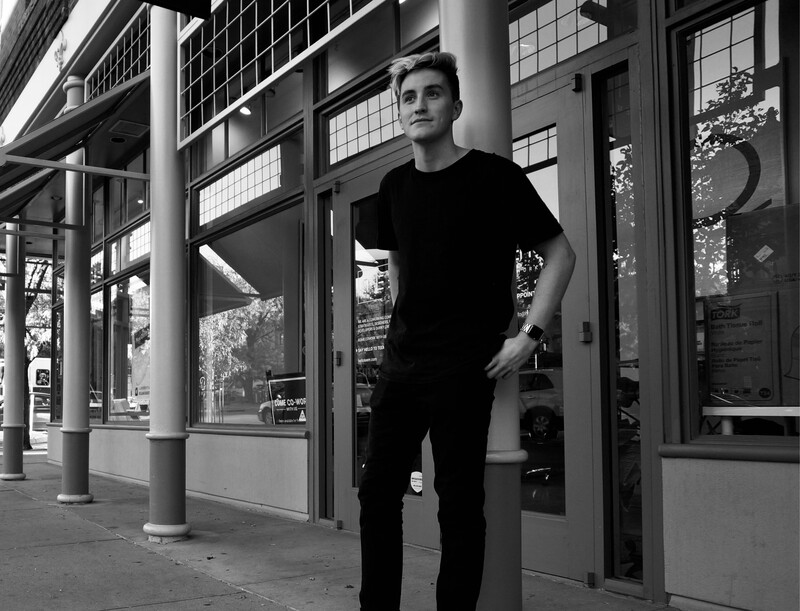 I’m Bennett Wantz, Oblique Design’s most recent intern and now a junior designer. I’m a senior at CU Boulder majoring in Media Design. I came to CU unsure of what I wanted to do. I have always been very creative and when I was younger I was more interested in arts and crafts than what football game was on. So when I came to CU I figured I should try media design. Almost instantly I knew I made the right choice. I fell in love with designing logos, packaging and typography. This past summer I made it my goal to get an internship at a design/advertising agency. I spent a lot of time searching online and weighing the opportunities that were out there. I came upon Oblique and instantly knew that this was a place I wanted to work. I took a shot in the dark and emailed them with my resume and website attached. They must have liked what they saw, because the next day I received an email inviting me in for an interview. In these past four months I’ve learned a lot. I learned how important it is to push my limits. No one ever made anything extraordinary by playing it safe. Whether designing a website or a business card, I made it my goal to create something worth admiring. Janice Ferrante, the owner and Creative Director of Oblique Design, has continued to challenge me and push me to better myself as a designer. She wasn’t afraid to tell me that what I designed needed improvement and for that I am so grateful. I have learned that design is more than making something look pretty. Research is so important when creating anything. You need to understand your target market, the competition, trends and history. I like to think that I became somewhat of a strategist in these past four months. It has become so important to me to understand what and who I’m working with before I open Illustrator. While working at Oblique, I wanted to devote as much time and energy as I could to my internship. I drove Janice crazy with the amount of questions I would ask. I wanted to learn as much as possible and was so eager to work with such intelligent and experienced minds. This internship has given me so much more than something to put on my resume. I wasn’t getting coffee and I wasn’t watering the plants. I was working on real projects with real clients. It was amazing to feel so valued and important. Oblique has become so much more than a place to work. It has become a second home. Everyone has been so fun to work with. I was so sad to think that my internship would one day have to end but I was thrilled when I was invited to stay and continue my work for Oblique on a freelance basis. The best advice I could give to future interns would be to give as much as you can, and you will receive so much more in return.